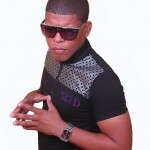 Isa Burgo Alberto Reyes, better known as “El Piloto Music”, was born on April 24, 1991 in the capital of Santo Domingo, Dominican Republic. He began his artistic career at 13 years old. Then he joined a group called “The Visiclones” where he recorded his first song called “Hoy Me Voy Pa La Calle”. 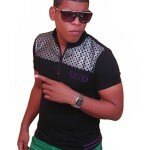 At 16 years of age, he left for the Capital and at 17 formed a group called “Los Pilotos Del Rap”. The band recorded 4 songs. As the leader of the group, people began to call him “El Piloto Del Rap” and then the group broke up. 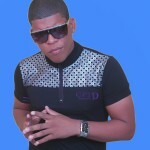 He went solo at 19 years of age being called “El Piloto Music”. He began to meet well known people in the area such as DJ Omar, DJ Primary, and Wander “Promotions” where he obtains knowledge of all media and meets well known public figures. At 21, he met Karen Pujols and Jeyson Rivera and from there signs with Pendulum Records. Currently, El Piloto is excited about this new opportunity and has faith in God and his great talent with a good attitude.